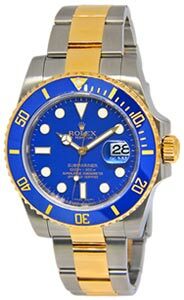 Pristine preowned mens Rolex GMT-Master II in solid 18k yellow gold with ceramic bezel features a green dial. 18k gold new style Oyster bracelet and black dial. Engraved inner bezel. Scrambled serial number. Comes with its Rolex box and tag as shown.